Latest Article on NMSS is NOW LIVE! And I am Sorry. – it's only a bruise. 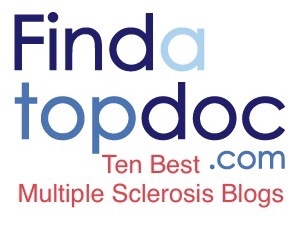 My latest article for the National MS Society’s blog is now live! I discuss some realizations I’d made after a recent (non MS-related) injury and what they could mean for my future. Be sure to check it out here! I apologize for being so very late on getting this year’s WALK MS video out and for being so MIA lately–there has been a LOT going on this summer and I plan on writing about it or making a vlog about it later after the dust has settled and I’ve had time to digest a little. I thank you so much for your continued patience with me! I saw the article when it dropped … very cool that you got it up there. Take good care!